(washer/Dryer Connection Is In This Room) Wonderful High Ceilings Adds To The Warmth Of This Home. MLS#21619653. eXp Realty, LLC. 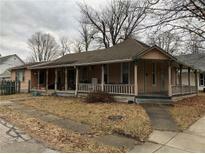 Westmere - (Home is currently investor owned so semi tax amount does not reflect Homestead exemption yet) MLS#21619423. Carpenter, REALTORS®. 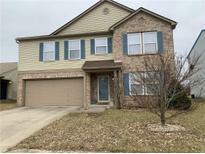 Centrally located near shopping, interstate, and within award winning Plainfield Schools! MLS#21618723. RE/MAX Centerstone. Westmere - Home sits on a fully fenced backyard with private views. MLS#21618797. CrestPoint Real Estate. Community play ground is across the street. MLS#21617503. Carpenter, REALTORS®. Walnut Hill - OPEN HOUSE 2/10 from 12 to 2 P.M.! MLS#21617663. The Stewart Home Group. 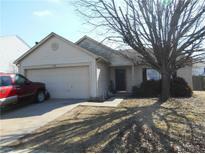 Finished basement with full bath, wet bar, bonus room & walks out to a back courtyard with 2 Seperate patios! MLS#21617082. RE/MAX Centerstone. Oversized mudroom/laundry room off entrance to attached 2 car garage! MLS#21617002. Streamlined Realty. Many updates since purchase include, rear fence, dishwasher, some windows, water heater, and paint. MLS#21615710. F.C. Tucker Company. Blackthorne Condominiums - Backs up to large Vacant area. MLS#21613799. Selling Indy Metro, LLC. 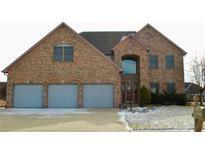 Newlin Acres - Close to Plainfield High School, and minutes from I 70. MLS#21615158. Carpenter, REALTORS®. Forest Creek - Featuring Quality inside and out with a welcoming entry, a great room with raised ceiling, super kitchen breakfast bar and pantry, separate dining area, master suite with big walk-in closet and beautiful shower, separate laundry room, private covered patio area, Pella windows, nice finished garage, full brick wrap, all this and more! MLS#21615227. RE/MAX Centerstone. Tattersall Manor - Home is currently in need of repairs and updating to finish off this project. MLS#21613853. HSI Commercial Group Inc.
Homestead Of Saratoga - The master bathroom has a jacuzzi tub & separate shower. Come see! MLS#21613134. Highgarden Real Estate. Impeccably maintained home-you don't want to miss this one! MLS#21612877. F.C. Tucker Company. The Resort Life isn't just for Florida anymore! It is here! MLS#21613322. RE/MAX Centerstone. Begin dreaming of finishing your unfinished basement! Call this your home today! MLS#21613287. Drees Homes. Center Ridge - Sellers are EXCITED to sell and willing to work out home upgrades as part of closing transaction, as well as a home warranty! Available for IMMEDIATE POSSESSION! MLS#21613112. CrestPoint Real Estate. Sycamore Estates - Extra large bonus room upstairs. All baths have been updated. MLS#21610382. F.C. Tucker Company. Kenwood At Saratoga - Home Warranty Provided. Only 32 homes in Kenwood. MLS#21609775. 24/7 Realty Group, LLC. Hurry and check out this Beautiful home where you can entertain and relax around the inground pool. MLS#21606529. David Hunter. Ridge Line Estate - Room for a backyard pool & more! MLS#21605924. Carpenter, REALTORS®. Forest Creek - Sound system throughout. Freshly painted throughout. Gas fireplace. MLS#21599012. Keller Williams Indy Metro NE. Sycamore Estates - Home is on well and septic, but municipal water is in front of house, and the impact fee has already been paid.Seller is offering a $5,000 allowance toward new kitchen counter tops! MLS#21599396. Home Pro USA, Inc. Kitchen has granite tops, with large walk in pantry. Come see this great home! MLS#21598009. Home Pro USA, Inc.